Sandy Beach is located on the shoreline of the Porter River at 44 River Street. Ample parking for the beach is located across the street at John George Park (35 River Street). 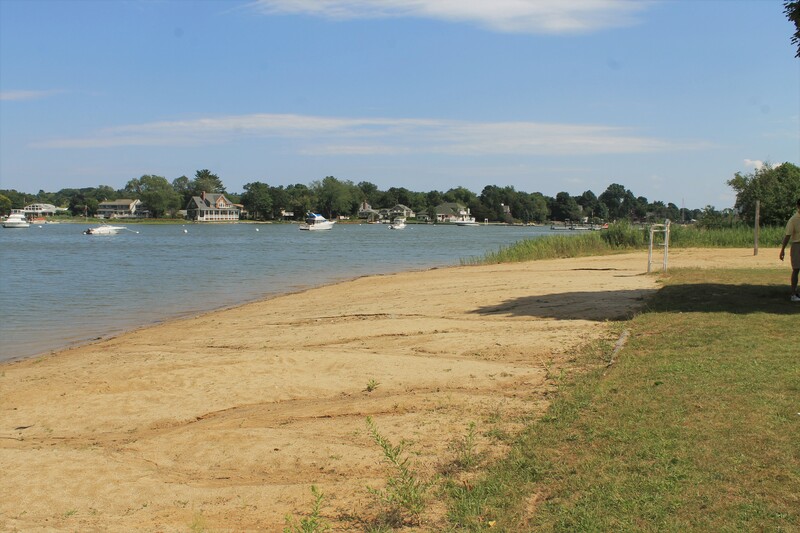 Sandy Beach is the only park in Danvers with beach access and features a bathhouse, water fountain and outdoor shower. Lifeguards are present at the beach during limited hours over the summer months. The park is 5.17 acres and offers a variety of recreational amenities including a swing set, play structures, open space, beach volleyball and a pavilion with picnic tables. Danvers is in the process of studying and identifying potential recreational improvement for the park. Please contact Nick Campion, Assistant Director of Recreation, with any questions or comments about the future of Sandy Beach. Water quality testing at Sandy Beach has concluded for the season. Please check back next year after Memorial Day when testing resumes.